Warning: This episode is crazy. CRAZY. 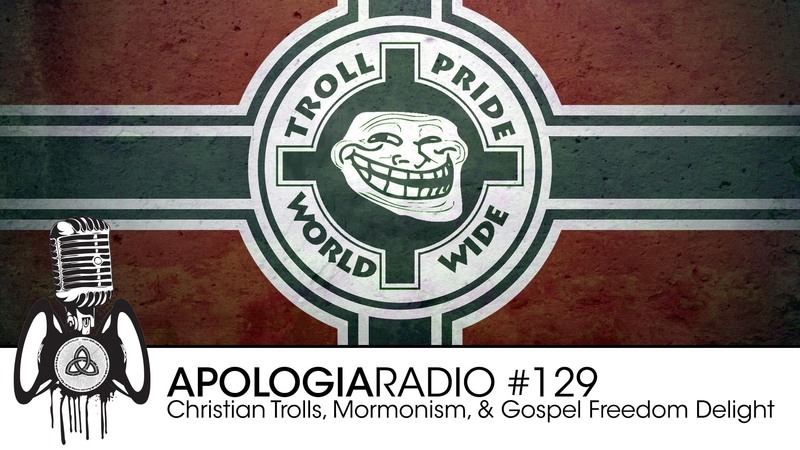 We had a busy week of ministry at Apologia Church and ended up having to record this episode at about midnight. So, we were a little loopy and punchy. It made for a fun, informative, and crazy episode. We talk about Mormonism, the transmission of the text of the Bible, the reliability of the textual tradition, Christian trolls, and Christian liberty. This is classic Apologia Radio. Seriously. You should share it. It’ll bless some people. Don’t forget: You can become a part of our All Access and get more delicious Gospel centered content on a regular basis. You also make this show possible by doing so. Get signed up today! I want to thank you guys for talking about all of this, but, in particular, I want to thank you for bringing up the topic of culture. I’ve been saying what you said for years now. We don’t go to Africa to preach the gospel and make them wear suits and ties. By rejecting cultural flavor, we are creating dark corners for the enemy to huddle, free of light. There should be no place where the light of life isn’t shown. No culture, sub-culture, social media page, location, game system, forest, household, or outhouse should be forever free of the proclamation of the gospel. That doesn’t mean those gospel free zones don’t and won’t exist, but it does mean we shouldn’t be afraid to BE the unique tools that God has created us to be. God bless the work you do, and keep doing what you do.